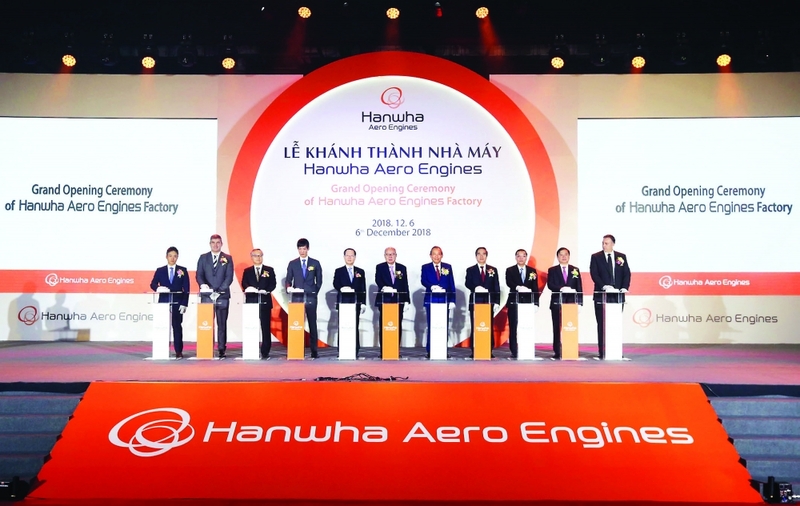 (VEN) - The Hanwha Aero Engines Company Limited, a member of the Republic of Korea’s Hanwha Group, has inaugurated an aircraft engine parts factory in Hanoi’s Hoa Lac Hi-Tech Park. The US$200 million project is expected to open up opportunities for Vietnam to receive key technologies. The project broke ground on September 21, 2017 and went into operation in December 2018. 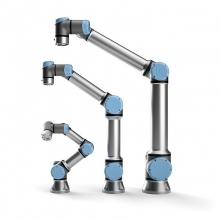 It will churn out the first batch of parts this month. After being granted an investment registration certificate, Hanwha Aero Engines sent Vietnamese technicians to take a crash technical course in the Republic of Korea. In addition, more than 40 Hanwha Group technicians are present at the factory to train about 200 Vietnamese technicians. Speaking at the inauguration ceremony, head of the Party Central Committee’s Economic Commission Nguyen Van Binh emphasized the Hanwha Aero Engines factory would become a typical example of technology transfer from Korean enterprises to Vietnam, opening up access to key technologies and enhancing the country’s technological capacity. According to Nguyen Van Binh, the Hanwha Group has invested in projects in Vietnam’s Bac Ninh, Long An, Hanoi and Ho Chi Minh City with total investment of about US$1 billion. With the inauguration of the Hanwha Aero Engines factory, the Hanwha Group is expected to continue to make great contributions to Vietnam’s economy, Binh said. He also highly appreciated the efforts of the Hoa Lac Hi-Tech Park Management Board and the Ministry of Science and Technology in attracting investors and creating favorable conditions for the park to become the best technological startup place in Vietnam. Minister of Science and Technology Chu Ngoc Anh said the construction and development of the Hoa Lac Hi-Tech Park reflects government policy of tapping science and technology potential in order to promote socioeconomic development. Over the years, the Ministry of Science and Technology has directed the Hoa Lac Hi-Tech Park Management Board to focus on completing infrastructure and adopting mechanisms and policies to create favorable conditions for investors. The Hanwha Group is one of the Republic of Korea’s largest corporations. It has invested in Vietnam in many areas such as insurance and high-tech. According to Chu Ngoc Anh, the presence of the Hanwha Group in the Hoa Lac Hi-Tech Park will create a spillover effect, helping the park attract high-tech companies from the Republic of Korea and other countries. He also hailed the group’s investment results and said he expected the group would study and expand investment in the Hoa Lac Hi-Tech Park and other regions in Vietnam. Hanwha Group Chairman Kim Seung Yeon said that in recent years, Vietnam has been one of the most dynamically growing countries in the world. 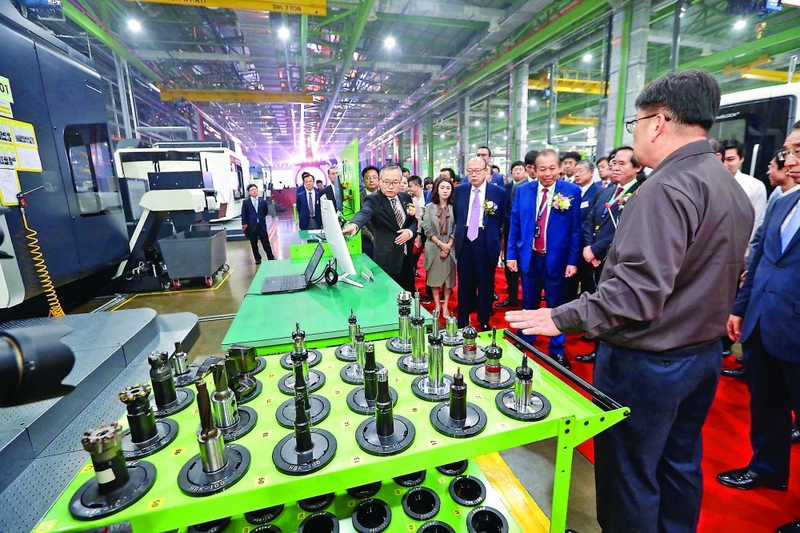 As a global factory, Vietnam has increasingly attracted the attention of the world’s leading investors, including the Hanwha Group that continues to expand its investment in the Vietnamese market. The Hanwha Group and Vietnam will join forces to create aviation breakthroughs for the world, Kim Seung Yeon said, adding that Hanwha is the only aircraft engine manufacturer in the Republic of Korea, and one of the top 10 firms in the world using the most advanced technology. continue to support Hanwha throughout its operations.